SWSY, Chinese Leisegang Exclusive Dealer in Beijing, will be named "Best Dealer of 2017". In October 2017, Cooper Surgical and Leisegang have opened two sponsored colposcopy training centers in Hanoi and in Ho Chi Minh City in the presence of Deputy Minister of Health of Vietnam Prof. Dr. med. Nguyen Viet Tien. There, Vietnamese gynecologists have the opportunity to deepen their knowledge in colposcopy as well as in the application of LOOP excision and cryo in training courses. The twice honorary professor in Vietnam, Prof. Dr. Horst-Michael Runge from Freiburg, Germany, has carried out the first two-day training course in the newly opened training centers in Hanoi and Ho Chi Minh City. 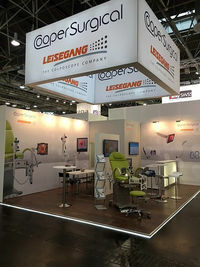 Cooper Surgical and Leisegang attended the MEDICA in Düsseldorf again this year and held discussions with distributors from more than 50 countries. In the run-up to MEDICA, a one-day product training was carried out for the distributors. Since December 2016 Leisegang colposcopes are registered at ANVISA, the Brazilian Health Regulatory Agency. In August 2016 Leisegang trains its exclusive Chilean distributor IMH S.A. in Santiago de Chile (Chile). In August 2016 Leisegang wins together with its exclusive distributor Vietthai a tender for 33 colposcopes. 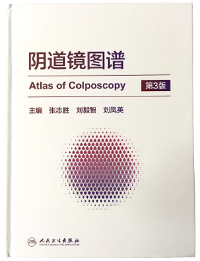 In June 2016 Leisegang's exclusive Chinese distributor SWSY publishes in co-operation with a Chinese publishing house a 300-page colposcopy atlas, which contains images of Leisegang colposcopes. 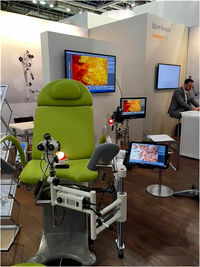 Having done installations in more than 300 hospitals, Leisegang is the market leader of the high-end sector. In the framework of Hospitalar in São Paulo, Brazil, in May 2016, Leisegang explores opportunities for expanding the distribution network in South America. 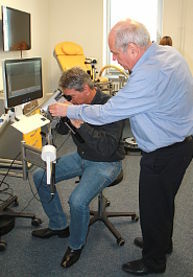 In March 2016 Leisegang trains its exclusive Brazilian distributor Renylab in Berlin. In March 2016 Prof. Dr. Michael Runge from Freiburg conducts in co-operation with Leisegang a two-day colposcopy workshop in Hanoi (Vietnam), where more than 300 Vietnamese gynaecologists attend. 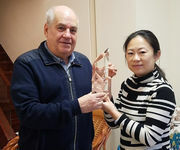 Prof. Dr. Michael Runge lived and taught for many years in Vietnam and Laos and he is the holder of Honorary Professorships from both the universities of Ho Chi Minh City and Hue. He has strongly supported the improvement of women's healthcare in these countries. His focus was - and is - university education of gynaecologists which often fails in many developing countries due to scarce resources. In 2013, his commitment was honoured with the "Bundesverdienstkreuz", a national cross of merit.